Snoring is caused by vibrations of the floppy tissues in the throat as air passes through when breathing during sleep. It is similar to the sound caused by the flapping of a flag in windy conditions. Mr Hanif is fully trained in treatment of snoring and he leads a team that specialises in the diagnosis and treatment of Sleep Apnoea. The full name of this condition is Obstructive Sleep Apnoea (OSA) making it a more accurate description of this common condition. Almost everyone with this condition snores but this is much more than simple snoring. 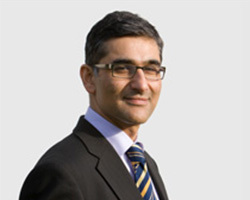 Mr Hanif is fully trained in treatment of snoring and he leads a team that specialises in the diagnosis and treatment Sleep Apnoea. The team in this successful Sleep Disordered Breathing Clinic consists of a Specialist Sleep Physiologist, a specialist nurse and it is led by Mr Hanif. This clinic specialises in the diagnosis, surgical and medical treatment of snoring and Sleep Apnoea. He is an expert in the surgical treatment of snoring and Sleep Apnoea and runs the only specialist Sleep Disordered Breathing Clinic in Norfolk. This specialist clinic has been established since 2006. Mr Hanif is the author of the chapter on Sleep Apnoea and Snoring in the book “Bullet Points in ENT”, which is a revision guide for trainees in ENT Surgery taking their examinations before they become Consultant ENT Surgeons.